When I was in a bookstore in Tokyo a couple of years ago I came across a framed, signed edition of Richard Brautigan’s devastating little “Love Poem.” I hadn’t thought about Brautigan for a while, years probably, and it was somehow reassuring to learn that he’s still, in some way, “big in Japan,” because he’s been virtually forgotten here. Even more gratifying was seeing his creative spirit alive in a couple of Southeast Asian films I saw over the last couple of years: Edwin's Blind Pig Who Wants to Fly and Anocha Suwichakornpong’s Mundane History. 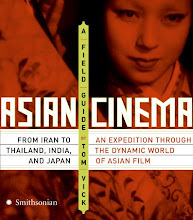 I have no idea if either filmmaker knows his work, but the disregard for traditional forms, the will to take aesthetic risks that don’t always succeed evident in their films reminded me of the freewheeling experimentation of Brautigan’s Trout Fishing in America, as if the spirit of the American 60s and 70s had been transplanted to Indonesia and Thailand. A lot of people (me included) discover Brautigan in college, which makes sense when you think about it. College is when you’re being taught the rules and canons of literature, at a time in your life when your natural instinct is to rebel against them. Brautigan’s writing flaunts convention. He takes risks that fail almost as often as they succeed (he sometimes stretches his metaphors and similes so far they collapse), but at his best he’s a writer with the rare ability to circumvent the rules of good fictional form, tap directly into his peculiar, skewed way of paying attention to himself and he world, and to let that eccentricity flow, unchecked but not unedited, onto the page. This is truly something to be admired, and it’s harder than it looks, as a lifetime of reading fiction can inculcate those rules into your heard even if you don’t study them formally. 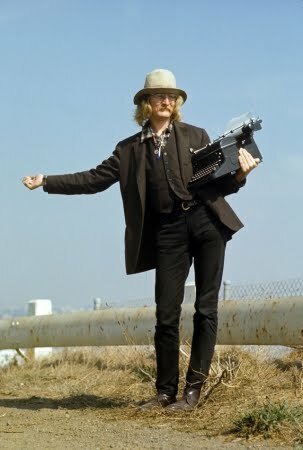 Brautigan’s aesthetic high-wire act, along with his alcoholism and the crippling depression that led to his suicide in 1984, may have doomed him to failure and (relative) obscurity. His brand of unconventionality pegs him to a particular time for the academics and critics who have never quite given him his due. And he did himself no favors by posing on the covers of his books, a long-haired, moustachioed beanpole in a floppy hat who maintained the look, and the eccentric writing style, long after friends like Tom McGuane and Jim Harrison settled into traditional storytelling and aged into respectable citizens. Brautigan is preserved in amber, depending on your sensibility either as a relic of the 60s or an inspiring spirit of aesthetic daredevilism.